Anyway, I was totally craving red meat that night (when do I not, seriously?!) so I ordered their half rack of lamb special. Of course, I didn’t tell the waiter about my food allergies so Tony flagged him down and made me tell him about the cracked red pepper. Sure enough, he goes back to the kitchen, comes back with a menu and says that they use it in the marinade. Of course, I wouldn’t think that they used it in the dish (because it wasn’t in the menu) so it’s a good thing we said something! That avoided a trip to the ER on a holiday weekend, thank gawd! So I decided to get the steak frites. Yeah, I know, I’m so predictable! 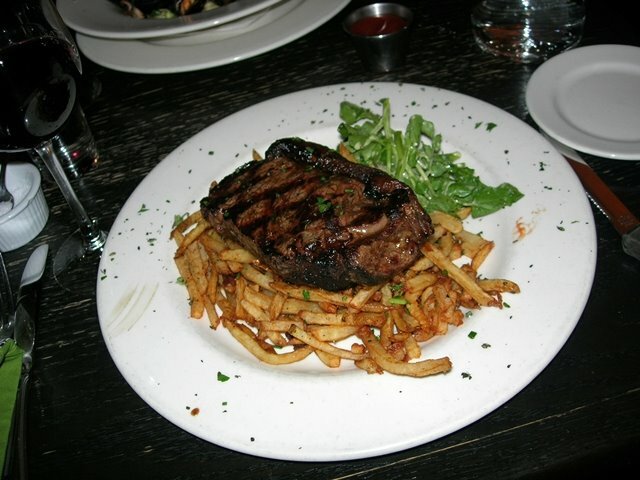 But hey, I love me some steak frites any time! The funny thing is that I thought I had them here at the Independent before, but I don’t remember it being served like this, as one big piece of steak. So perhaps this was my first time getting steak frites here. Anywho, it was absolutely delicious and cooked perfectly medium rare (maybe a tiny bit undercooked, but still very yummy). 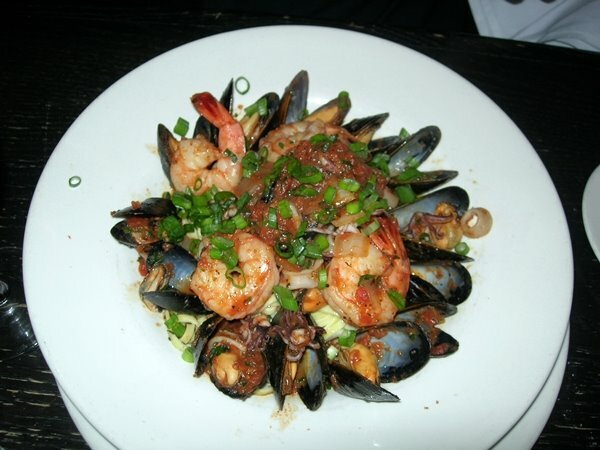 Tony got the seafood fra diablo special (yes, we know it’s really fra diavolo but that’s how they printed it on the menu) which had shrimp, mussels, and calamari. But to top it off (as if we hadn’t already eaten enough! 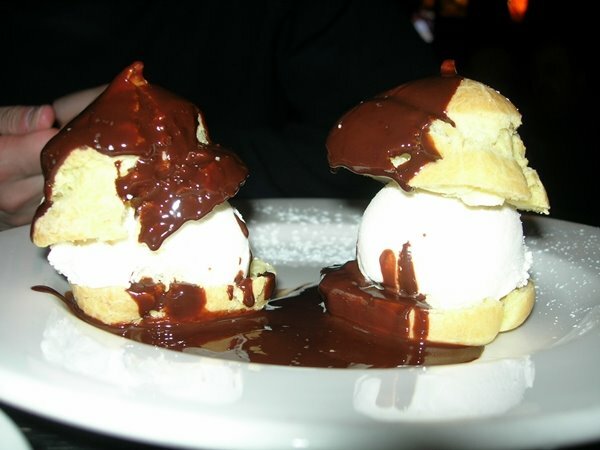 ), we had the profiteroles for dessert. This entry was posted in independent, union square by shortcakescraps. Bookmark the permalink.